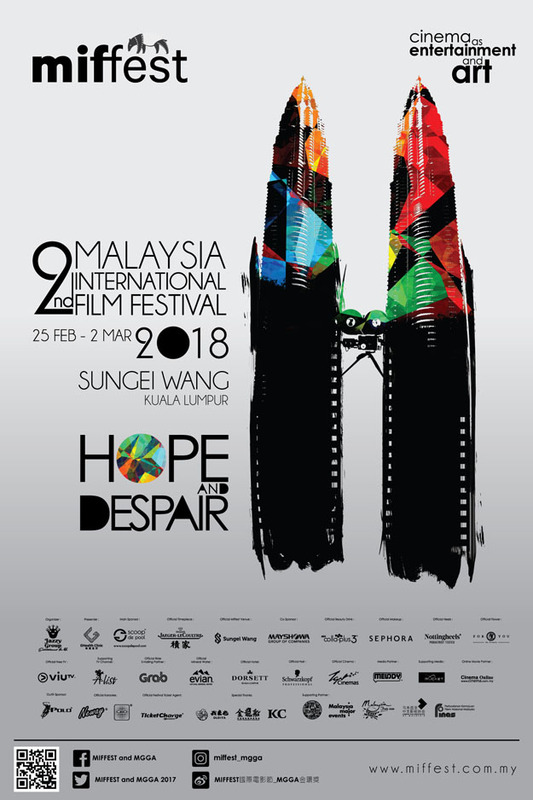 Malaysia International Film Festival (MIFFest) and Malaysia Golden Global Awards (MGGA) is to recognize human excellence This time, MIFFest and MGGA unveil ‘Humanity’ as the main theme and key message for the film festival. A new design concept was created to represent the 2 faces of humanity, which are ‘Despair’ and ‘Hope’. Hope is a common theme in films, as hope means to bring joy and excitement that is arguably the most basic desire people long for. It is the most life-affirming aspect that people share, a common hope. At the other end of the spectrum is despair; all our lives are touched by moments of loss, grief, tragedies and despair. Films educate everyone on how to handle these moments of extreme loss and despair, and how to move on from these moments with empathy and fortitude. Life affirming stories that reach out and touch each and every one of us with their humanity. We encounter both hope and despair on a regular basis and films can tell these stories of life in the most beautiful and artful way. These two elements will be presented in all the movies chosen to be displayed at the MIFFest.